In November 2014, Washi, craftsmanship of traditional Japanese hand-made paper of Honminoshi, Sekishubanshi, and Hosokawashi, was registered on the Representative List of UNESCO's Intangible Cultural Heritage of Humanity. The craftsmanship of traditional Japanese handmade paper passed down for more than 1400 years is highly evaluated in the world. "Ozu Washi" established a paper wholesale store as "Ozuya" in Nihombashi in 1653. For more than 360 years since then, we have kept running the company while dealing in handmade paper and the other various papers in the foundation place. We deeply appreciate all of your support up until now. In the spirit of getting more people to know "the heart of respect for nature, the heart of living in harmonious coexistence with nature, and delicate and careful manufacturing" that make the world people moved, we set up the exhibition place called "Ozu Washi Syoran" in the foundation place in May 2015. 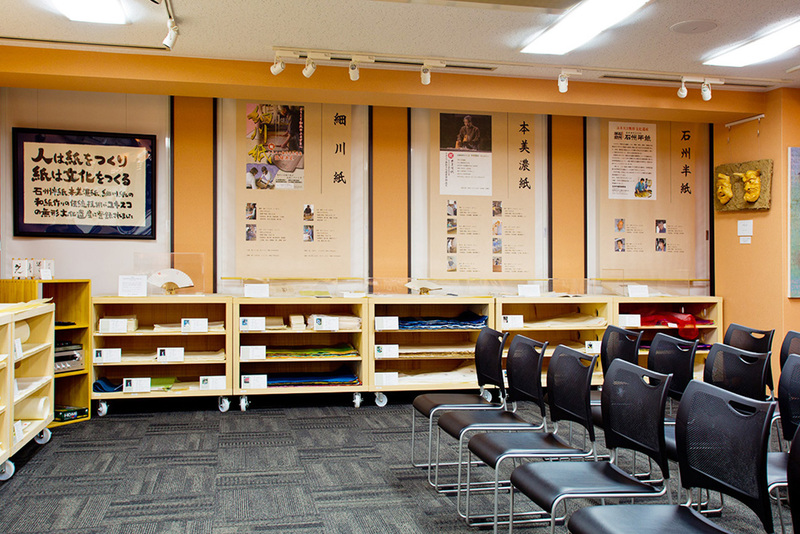 A variety of handmade Washi papers throughout Japan and pictures of craftspeople having a role in the Washi culture, the features of each Washi paper are displayed here. You can touch Washi freely and feel the texture of Washi. Since 2007, in partnership with the laboratory of Japanese painting of the Tokyo University of the arts, we have conducted research for Washi used for Japanese painting. The research theme is "The Aspects of Paper for Painting and the Effect". 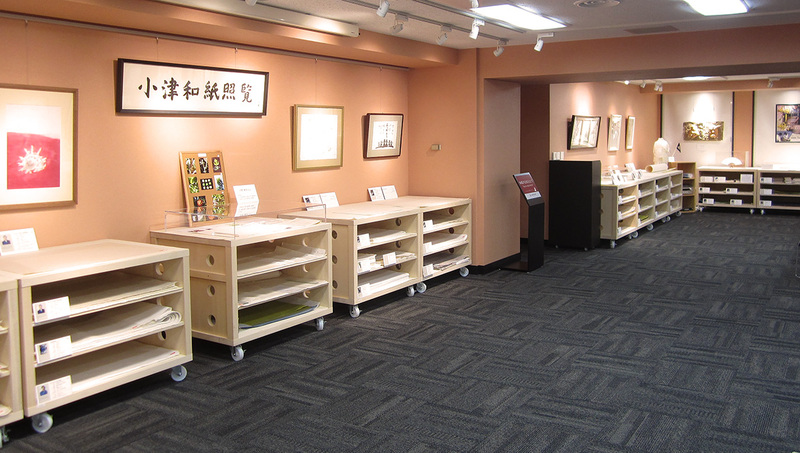 The Washi used through the research and the study works of Japanese painting are also displayed here. 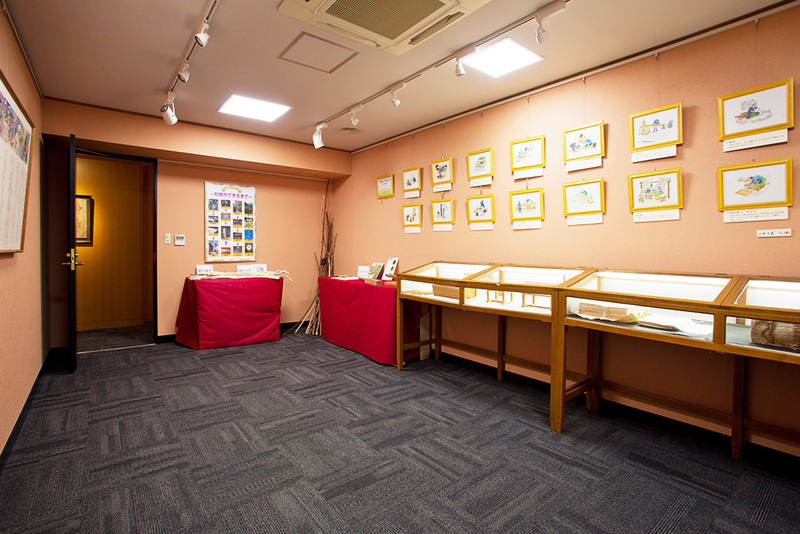 In addition to that, flowers made by Washi, clothes of Washi, Washi dolls, Kinkarakami, Isekatagami and ink-jet printing works are exhibited in the area for figurative Washi. if there are some requests, we explain Washi materials, introduce the producing procedure of Washi by the large screen display, and hold workshops (the maximum capacity: 70people). For many years to come, we will assume a role of the bridge between makers and users. We look forward to your continuing support and close relations as ever.